Standout style is yours with this fashion-forward crossbody bag. 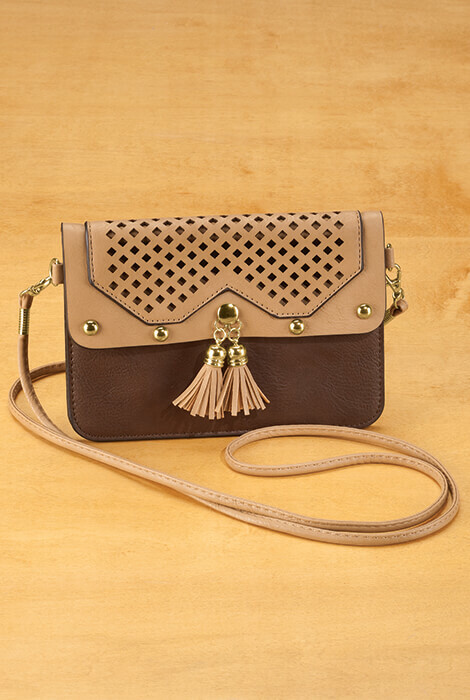 The rich brown exterior in 2 shades features a detailed cutout pattern, stylish tassels, goldtone hardware and snap closure. 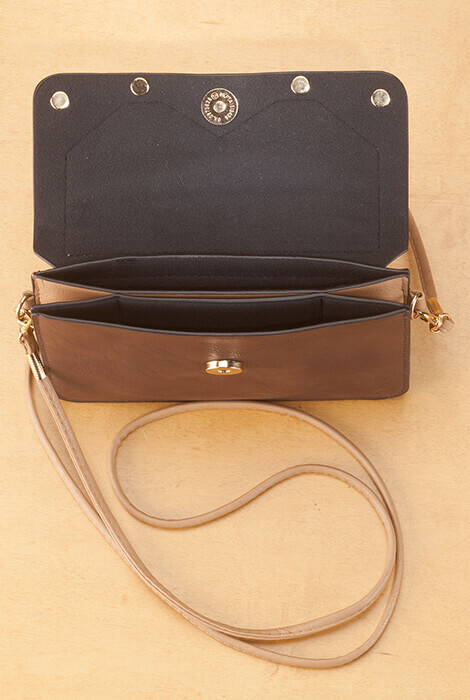 The soft lined interior features 2 accordion-style pockets for quick access to your phone, money and other essentials. Carry on its own or attach the 55" long strap for hands-free crossbody convenience. 7 1/4" x 5 1/4". Wipe-clean polyurethane.